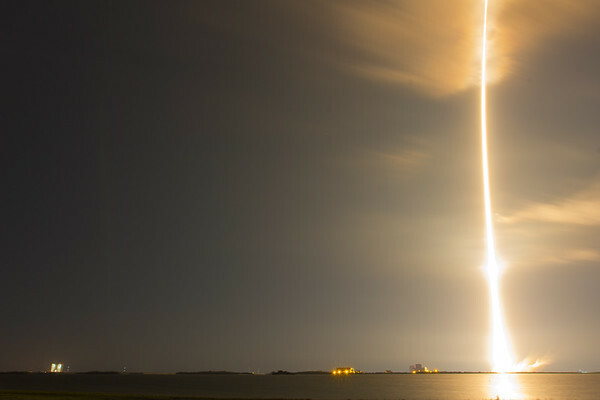 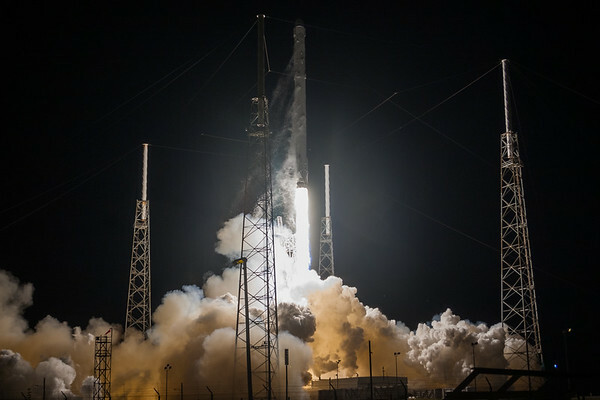 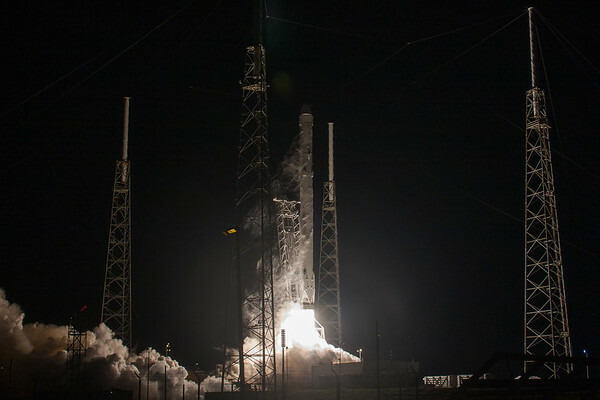 Shots from the CRS5 mission to resupply the International Space Station. 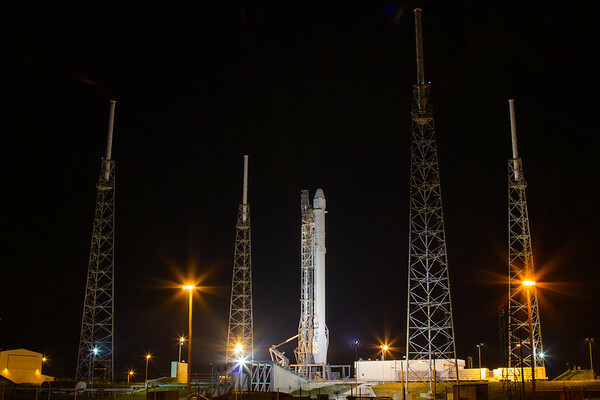 T minus 7 hours, at the pad for the SpaceX CRS5 Falcon9 launch. 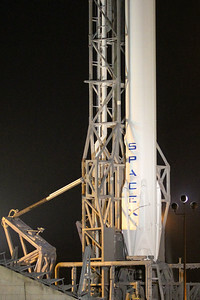 Close-up of the Grid Flaps. 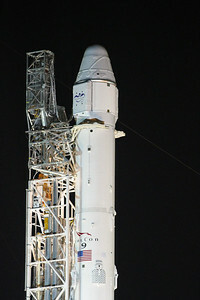 Also you can see a laser being shined on the rocket on the patch to the right of the American flag. 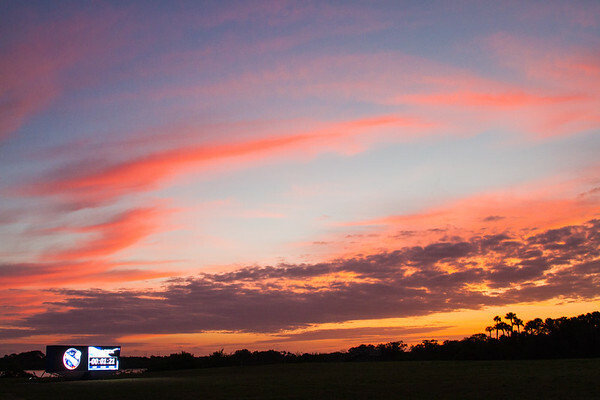 Sunrise seen from the Kennedy Space Center Media Center / Press Site after the CRS5 SpaceX launch was scrubbed. 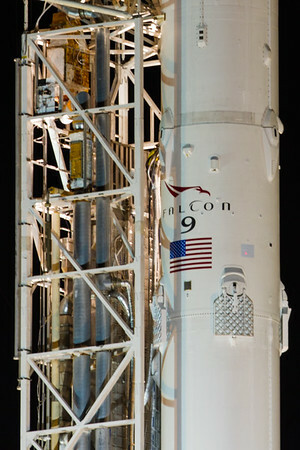 Note the new countdown clock, frozen at just over a minute to go in the countdown. 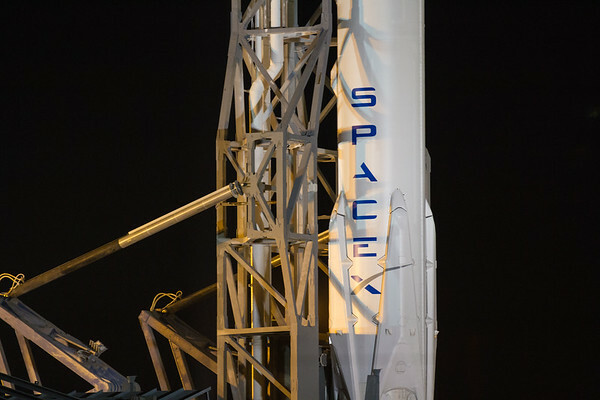 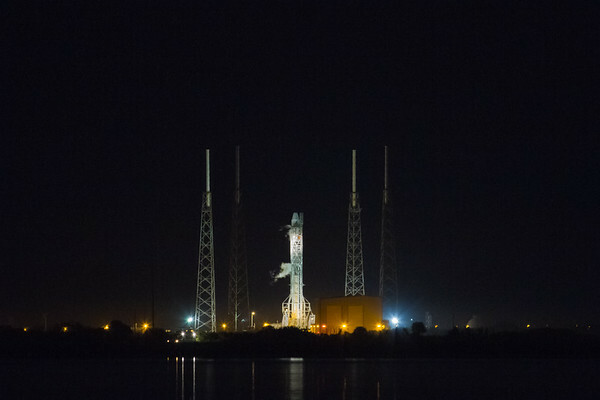 Shots of the SpaceX Falcon9 CRS5 rocket on the pad the night before the scheduled January 6, 2015 launch.